Why use a Purple Chromax Golf ball? 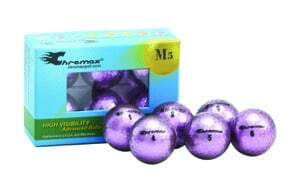 Chromax Purple Golf Balls give you high visibility in all light conditions. 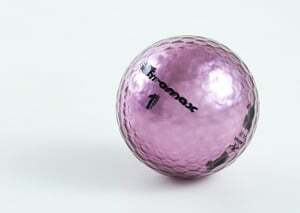 The Chromax patented, unique inter-illumination, between a reflective inner layer and a translucent outer layer, makes the purple golf ball appear larger and brighter. Losing less golf balls lowers your score and keeps more golf balls in your bag. If a provisional is required, you have another color to shoot, so when your golf balls are found, you know which ball was your first shot. © 2018 Chromax Golf | Easy to see purple golf balls beneficial for all golfers. Especially helpful for visually impaired, eye site challenged, glaucoma patients, senior men and women. These purple golf balls are USGA tournament approved and make great gifts. High visibility from patented reflective chrome coatings. Makes fun gifts for tournaments, birthdays, holidays and kids.